I just listened to the Mindful Strength podcast where Kathryn interviewed Richard Freeman, one of the first Western yogis to be trained by Pattabhi Jois in Ashtanga. He remarked that even at his older age, he still practices Ashtanga. He is not as flexible and doesn’t have the same stamina, but he still does it. But he also adds in other things, like weight training and pulling movements. What was so profound to me was that he called these other movements part of Yogasana. They are yoga movements that are written in the Sutras. As a scientist, I usually want to see this proof for myself, so I suppose I had better dig into the books. He said pulling movements, like rowing and climbing are part of Yoga. And this makes me very happy. I’ve said this before, a senior yoga teacher who I admire greatly was perplexed that she couldn’t even do one pull-up. Of all the movements in yoga, this pulling action is sorely lacking. There are several others as well, but this is the biggie. Body weight movements are great in that gravity is the resistance. You press down or lift off of the Earth and every point of pressure resists. But try taking that movement in another direction. Now lift something off the ground and put it overhead. Again the scientist in me wants to test this. I hope someone already has. I’d like to gather a few yogis who excel at arm balances, jump-throughs, etc. and see how they do in the weight room. I’d like to test their deadlift, squat, bench press, and overhead strength. Pull-ups too! And while most gym rats would struggle with the aforementioned yoga poses, I wonder if it is truly a one-way street with yogis too? Fortunately, several yogis who gravitate to my Rocket Yoga classes are also rock climbers and aerial yoga artists. Pole dancers too! 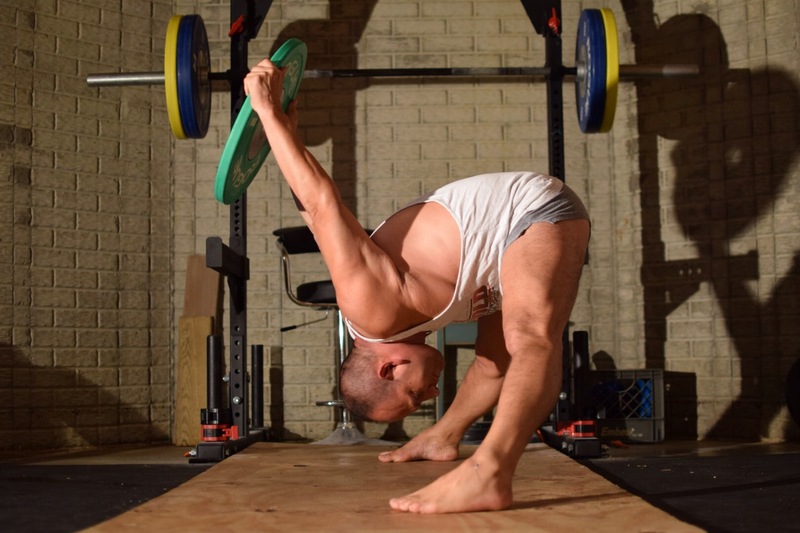 Those movements are totally in the pulling strength realm. So for those few, they have it covered. The definition of "Fitness" that I was taught in high school is the ability to successfully do your day’s work, whatever that may be, while being able to handle any emergency that comes up. -You are walking home from work and suddenly have to sprint across the street to miss a car. -You hear a crash in the other room and realize a tall dresser has fallen on your child and you have to lift it off of them. -Your car breaks down and you need to walk several miles to the gas station (no cell coverage). -You need to unload a pickup truck full of unsplit firewood before work (me this morning). -You are Jonesin for a pickle but can’t twist open the jar. Be ready for everything friends. Yoga is great, but be sure to explore all of Yogasana and not just practice on your mat.